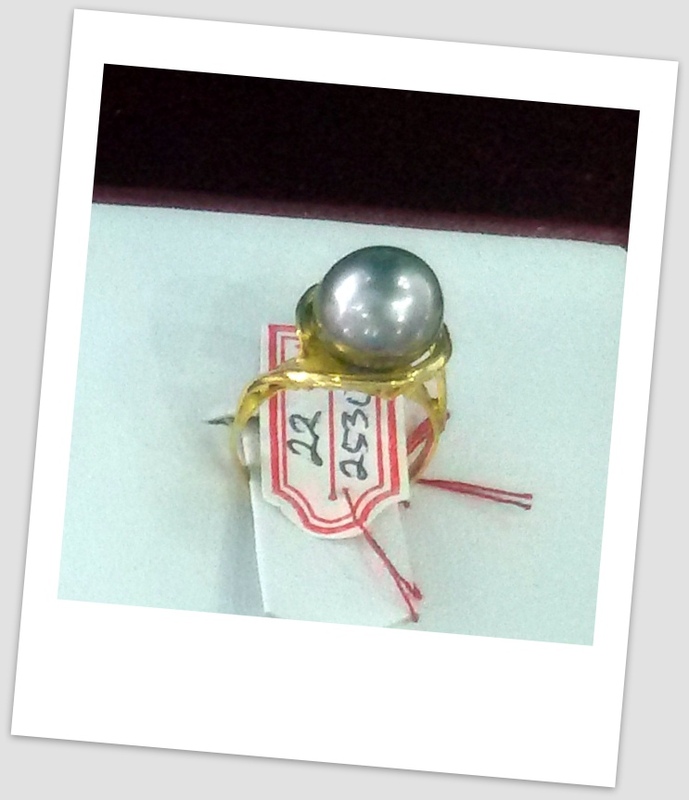 GemGeek : Here is the remainder of my three-section trip journal from the GIA Pearl Tour – Paspaley Pearls. I need to post it in segments, so read on… Having left Christchurch wide open to the harshe elements downpour, we were prepared to return to warm climate. Darwin, Australia is certainly a warm place. As a component of gathering 1, we rose at a young hour the main day to take the Grumman Mallard seaplane to Paspaley’s sea-based operations. As should be obvious in the photograph from the transport, we needed to get going before first light. I love seaplanes. The Grumman Mallard was first built in 1946 and ended production in 1951. Paspaley’s Mallards are refitted with modern turboprop engines and are lovingly maintained. We covered a lot of land on our way to the Paspaley III. The view from the cabin was awesome. Earplugs were a requirement, one of the only drawbacks of the Mallard experience. The turboprop engines are extremely powerful and unlike jets, it?s reassuring to be able to see them in motion. For many of the group, this was their first water landing. There?s nothing like the moment when the water rises in waves over the windows. Furthermore, here is the delightful Paspaley III in full reap operation. Waterproof shoes were a prerequisite and without a doubt, we got our feet and lower legs wet over and over while watching the reaping operation. Grafters were expelling the principal development pearls and on the off chance that they were great pearls, and the shellfish was in great condition, a second bead was embedded and the clam was returned for an additional two years. Something else, the pearl meat was gathered promptly and the shells continued for business preparing. Jeremy was in the gathering where they were collecting second-development pearls. He ought to have some enormous pearl photographs to come. Richard, our host, opened two oysters and let a couple of us squeeze out the pearl. I felt like a midwife giving birth. It?s amazing how beautiful they are right from the shell. Here is the result. Roger trimmed the pearl meat and gave us all a bite ? fresh oyster sashimi, which was very sweet. Then we went upstairs to see the morning?s harvest of pearls. Talk about heaven ? we could literally play with pearls! This is how they look with zero cleaning or processing. Amazing! Given a chance to play, one side of the table became impromptu pearl graders. Notice the neat groups of different colors. The other side of the table experimented, measured, improvised fashion photos and even created art. Richard scrubbed these pearls with salt so we could get a better idea of what the finished product would look like. That?s a big first-growth pearl! Mona and Betty Sue improvised a glamour photo op. And Russell made a fish with a golden eye. Notice the air bubbles trickling upward. 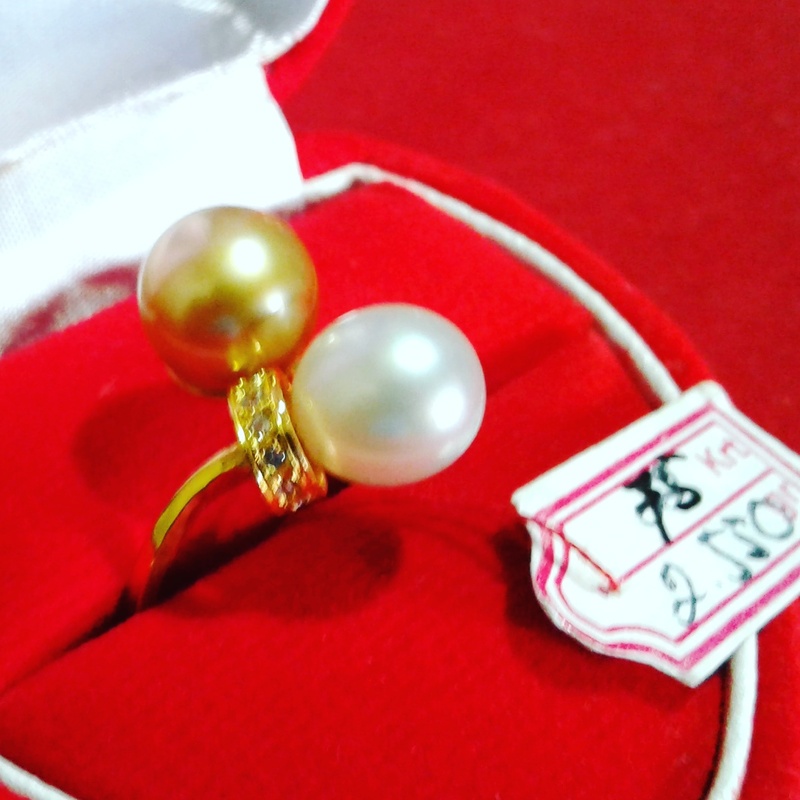 The search for the perfect pearl had several contenders, but this was a favorite. Next, we take a long boat ride to Kuri Bay, the site of the first land-based pearling operations in the area. And they have pets, too. This one is a python named Monty. We are treated to a fabulous lunch. Carl has some major competition as the chef pulled out all the stops for our visit. Here is the table we sat at. Nice view! Kuri Bay looks like it?s a great place to live and work. They even have a phone booth. And you can?t beat the view. When it was time to go, they fed their pet sharks with kitchen scraps on the way to the seaplane, which came to meet us in Kuri Bay. The next day we were taken by bus to see Paspaley?s engineering operations back in Darwin. Here is one of their special working boats being built. Look at those welds! They carry the washing and x-ray equipment. We are shown the automatic oyster washing machine. You can see the orange basket being drawn across the top. The cover is closed and jets of pressurized water clean the oysters as they pass through the machine. They use a specially made x-ray setup to check the pearl nacre growth, again, by drawing the baskets across the table. We check out the tool room. That?s the biggest Crescent Wrench I?ve ever seen! This machine tightens knots as part of the process of attaching buoys to the long lines that suspend the oysters in the bay. The buoys then get replacement ropes and are ready to go. Enough of this technical stuff ? show us the pearls! But wait, even after we trek to the Paspaley Pearl offices, we have to get step-by-step instruction. After getting the lowdown on the polishing process, we can hardly be restrained. First they are tumbled. Then they are graded and sent for polishing. If necessary, they are drilled here. For a drill-through, they drill halfway, then turn the pearl to drill to the center from the other side. That prevents damage at the drill hole. Next stop, the knotting station. They have a special process that makes the knots virtually invisible. See what I mean on these ?tringles? triangular pearls. Even in the close-up they are almost non-existent. Excuse me while I mop my brow ? the luster is getting to me! I?ll be honest, at this point, I had to cut out a lot of photos of people, because I didn’t have time to ask for permission. So you are going to get some bonus pearl photos at the end. Let the pearls speak for themselves! Here is a tub of pearls. You are getting sleepy, very sleepy. You are getting out your wallet? Once you hold them, it?s hard to put them down. And here is the prize pearl, the biggest and best ? not to be sold. A fine pair. I wouldn’t mind storing them for Paspaley! As far as I’m concerned, this shape is terrific. They don’t get many goldens. This is one killer baroque. 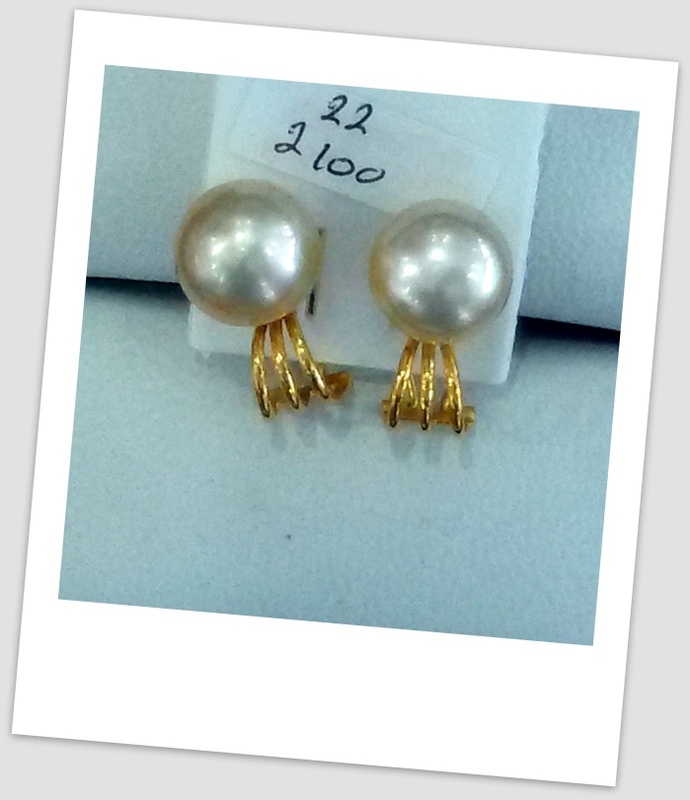 Betty Flintstone would love earrings like this. Here are some trays of specials. 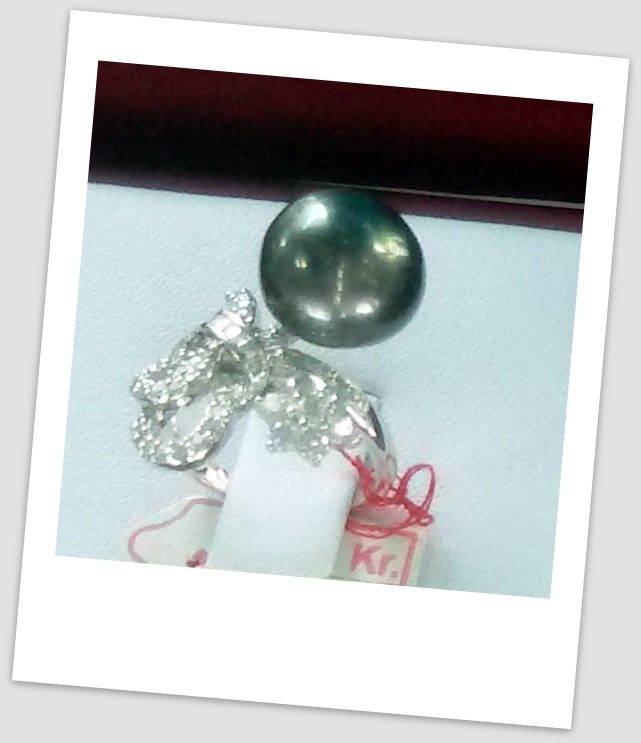 And the last pearls… ort of a top-drop. They tell me these are snowmen! This is a really big baroque – yes, it’s a different one. And last, but not least, an almost transparent baroque drop. Paspaley’s operations were wisely executed and they kept running as smooth as silk. Also, they let us play with their pearls. What more would we be able to need? On that note, I will end my photographic story of our magnificent pearl venture. We had a mind boggling end-of-visit supper and swapped business cards ?til we dropped. It was a stupendous gathering of individuals and I will miss playing around with them. Perpetual on account of Gemological Institute of America, Robert Wan – Tahiti, Eyris Blue Pearl Company and Paspaley Pearls. You are all AAA in my book! Previous post: Help!! 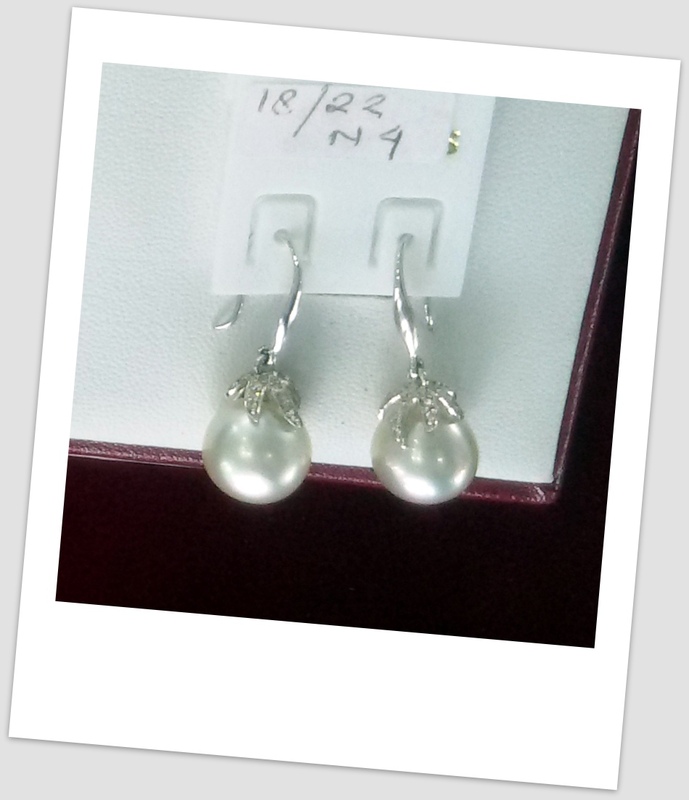 please tell me if the south sea pearl are real or fake?? ?